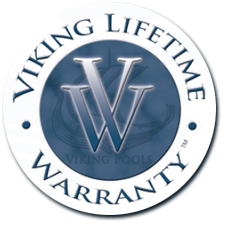 Caribbean only installs pools from the Viking Family, which is the largest pool manufacturer in the United States. Viking has plants in NC and WV and is committed to the Outer Banks by opening a staging yard in Currituck to help defray the cost of shipping. With large ticket item such as a pool, installing a pool shipped in from Honduras where the manufacturing process is suspect or from a small regional company on the side of an interstate that may or may not be in business when you need warranty work may very well cost you thousands more in the long run. A good guide to determine if the pool manufacturer is reliable is to see if their “Warranty Information” can be found on their website? If not you would be best to stay away. 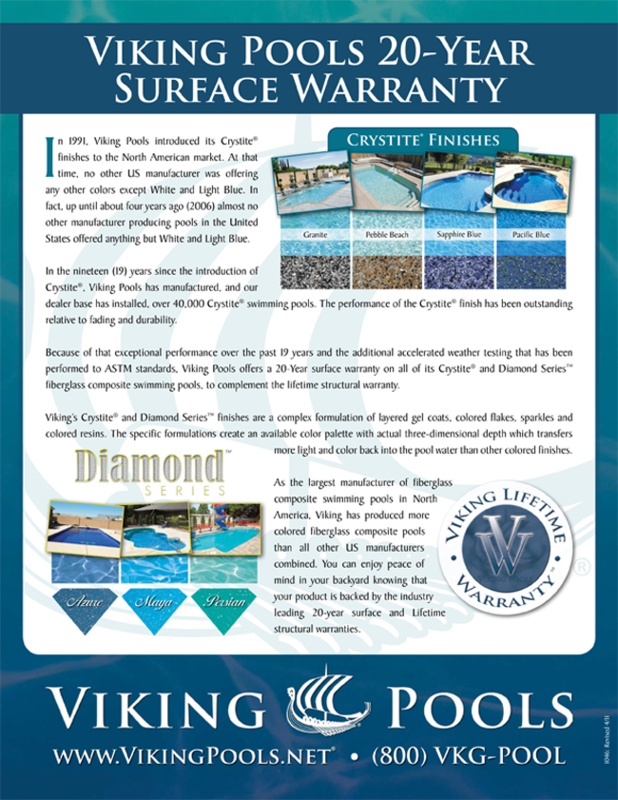 In 1991, Viking Pools introduced its Crystite® finishes to the North American market. At that time, no other US manufacturer was offering any other colors except White and Light Blue. In fact, up until about seven years ago (2006) almost no other manufacturer producing pools in the United States offered anything but White and Light Blue. In the twenty-one (21) years since the introduction of Crystite®, Viking Pools has manufactured, and our dealer base has installed, over 45,000 Crystite® swimming pools. The performance of the Crystite® finish has been outstanding relative to fading and durability. Viking's Crystite® and Diamond Series™ finishes are a complex formulation of layered gel coats, colored flakes, sparkles and colored resins. The specific formulations create an available color palette with actual three-dimensional depth which transfers more light and color back into the pool water than other colored finishes. Diamond Series Finishes As the largest manufacturer of fiberglass composite swimming pools in North America, Viking has produced more colored fiberglass composite pools than all other US manufacturers combined. You can enjoy peace of mind in your backyard knowing that your product is backed by the industry leading 20-year surface and Lifetime structural warranties. Note: Our warranty has changed over the years. 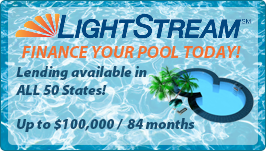 Your warranty is indicative of the warranty you were originally given at the time of your pool purchase.